I recently added 15 images to the Trombone History Timeline. First of all, more than half in this batch were found by others: many thanks to Matthew Manchester, Bruce Dickey, Maximilien Brisson, and Iris Tjoonk! 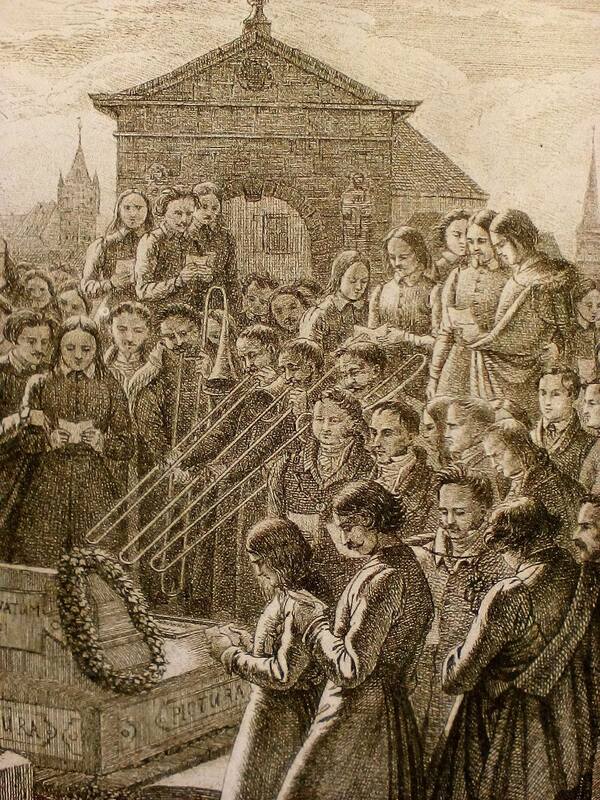 One of the common themes in this group of images, as with trombone history in general, is the instrument’s role in sacred music. 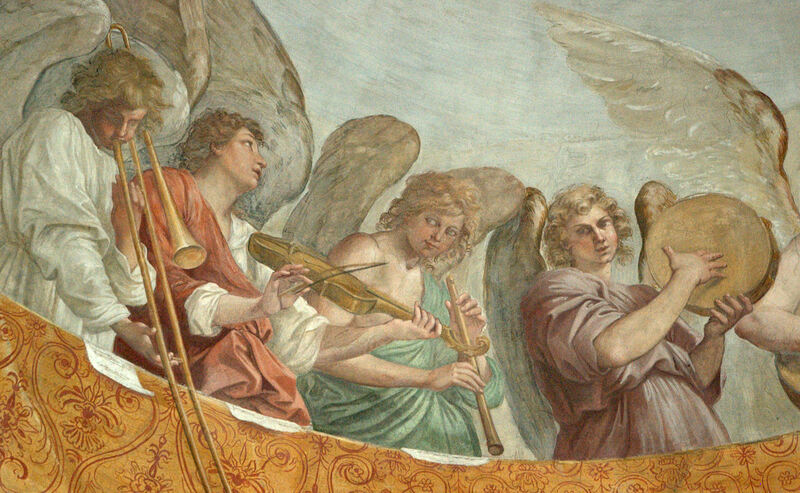 Among the pictures in this particular post, two images show trombone performing sacred music (1665, 1828), while four more depict the trombone being played by angels (c. 1600, 1691, c. 1730, and 1908). I have added these latter images to the collection Angel Trombonists Throughout History, where there are now just under 100 visual examples. 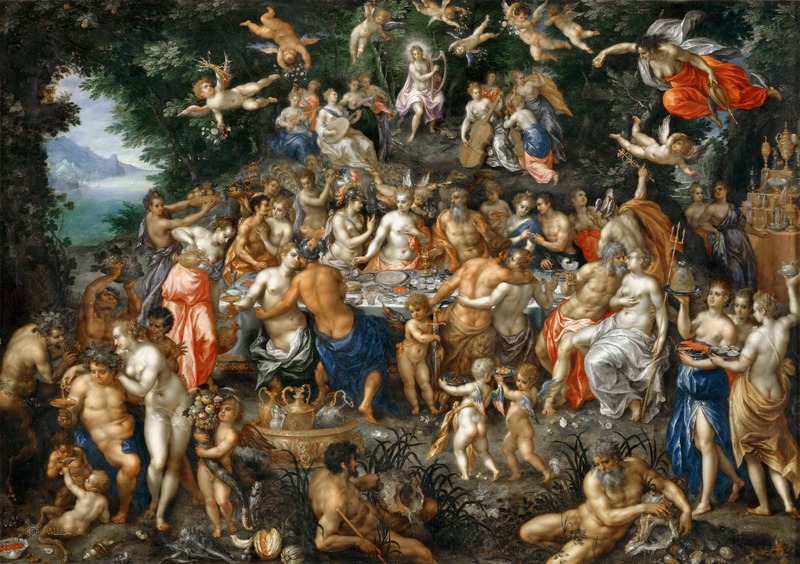 The other common theme is the trombone in mythological or allegorical settings. 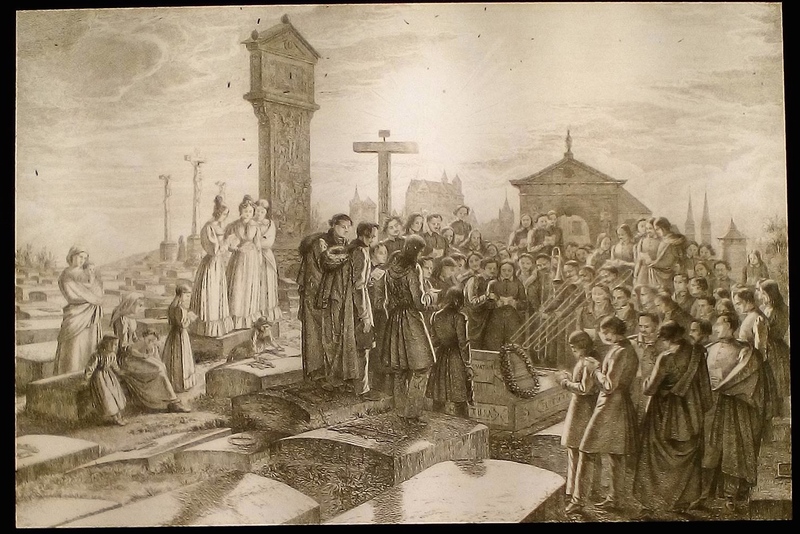 There are five in this post that reflect this theme (1606-09, c. 1615, 1618, c. 1630, and 1657). Notice that they tend to originate in Brussels and Antwerp in the early Baroque. You can see many others with the same theme in this collection: Pick That Thing Up and Play! 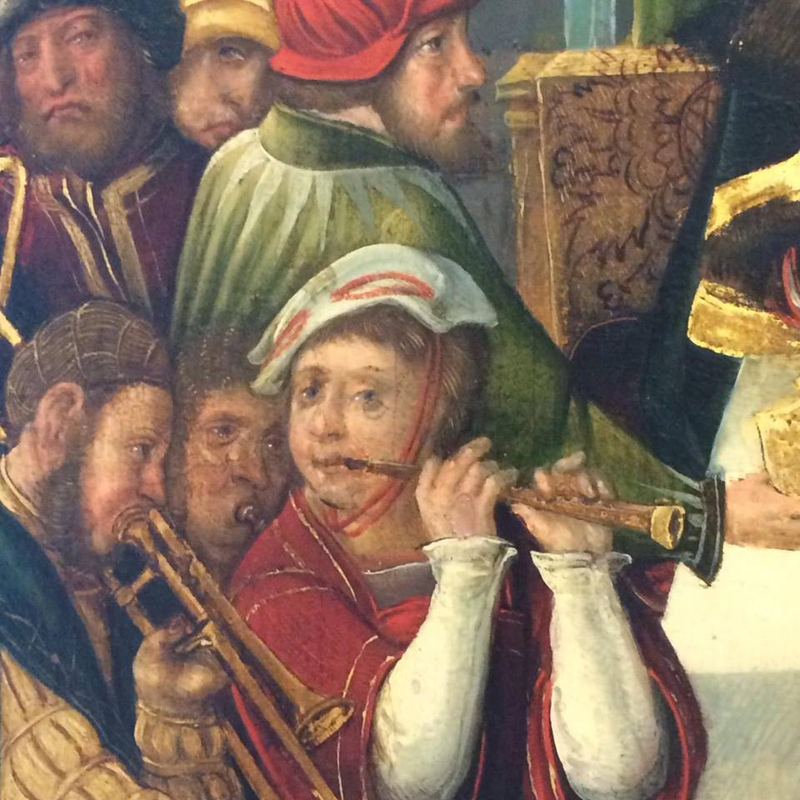 21 Trombone Paintings from 17th Century Flanders. 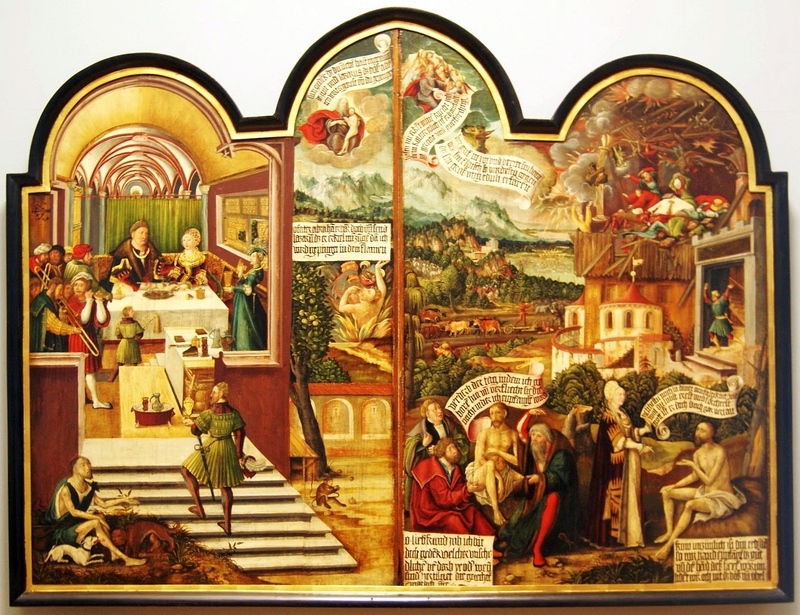 1522—Schwerin, Germany: Court painter and architect Erhard Altdorfer paints the triptych, Story of Lazarus and Scenes from the Book of Job. 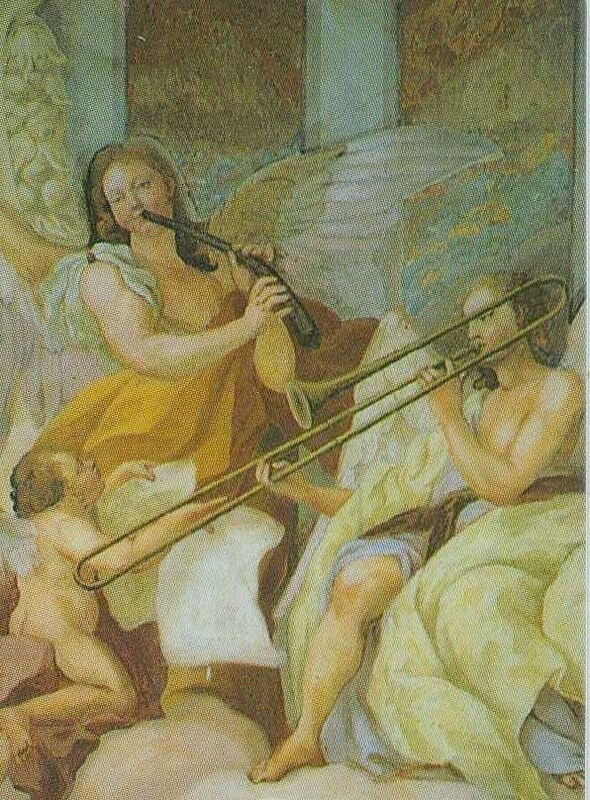 Pictured in the far left panel is a small wind band with cornett and at least one trombone (see detail and full image below; public domain) (National Museum, Wroclaw). Special thanks to Matthew Manchester. 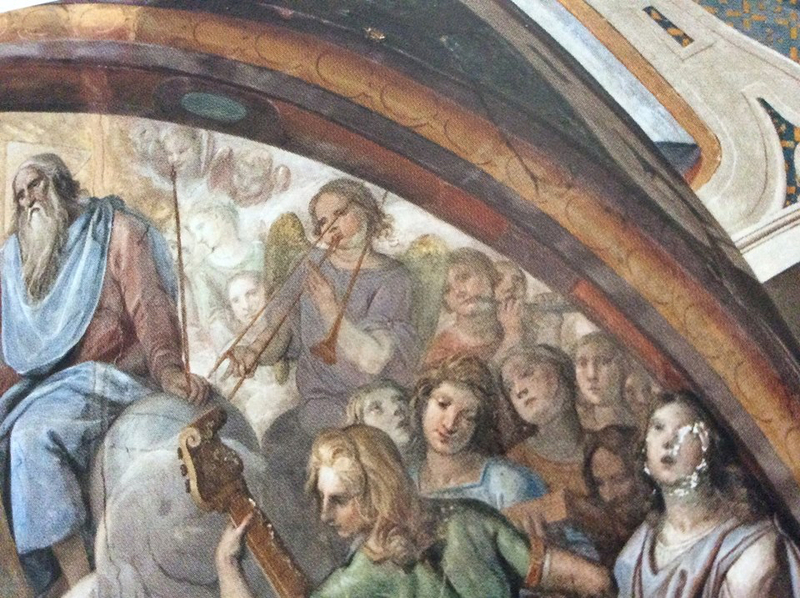 c. 1600—Siena, Italy: Pietro Sorri’s painting, “Incoronazione delle Vergine” in the Chiesa di San Sebastiano in Vallepiatta includes an angel playing what appears to be a trombone with an oddly-angled bell (see detail below; public domain) (special thanks to Bruce Dickey). 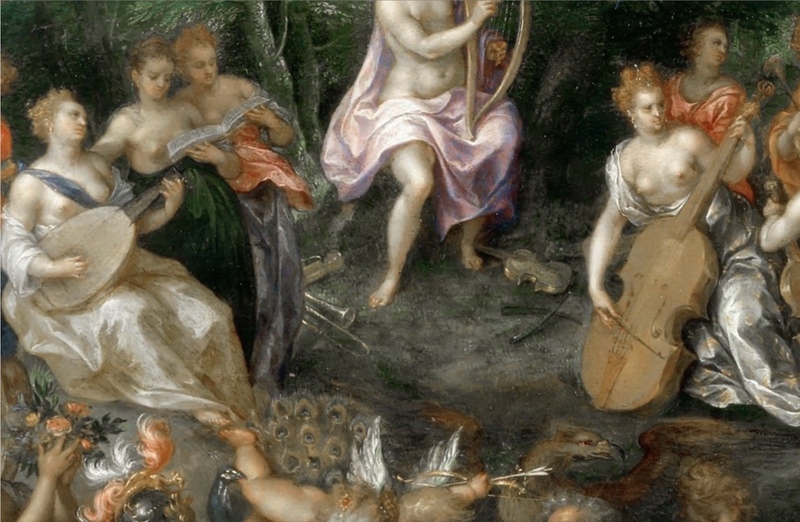 1606-09—Brussels, Belgium: Hendrick de Clerck’s painting, The Nuptials of Thetis and Peleus, features a group of musicians (upper-middle of full image); among the musicians are several musical instruments resting on the ground, including what appears to be a trombone (see detail and full image below; public domain). 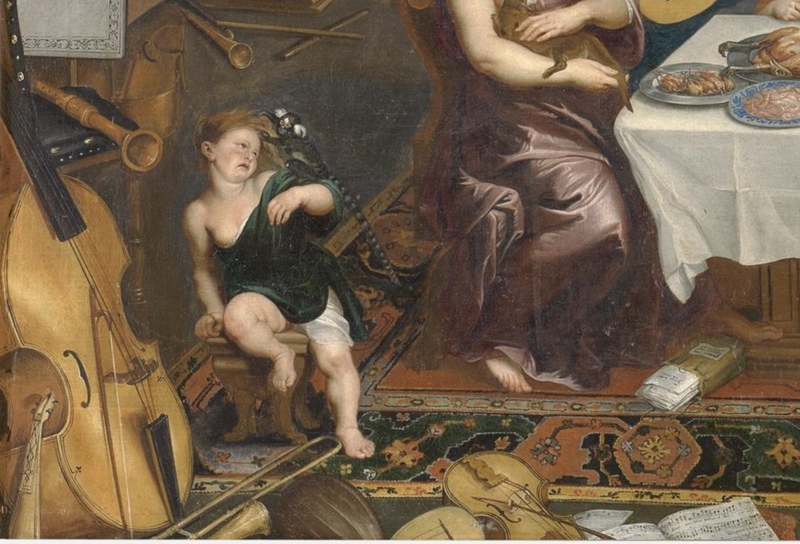 c. 1615—Antwerp, Belgium: Hendrick van Balen’s painting, Minerva and the Muses, includes a trombone among several musical instruments resting on the ground (see below image; public domain). 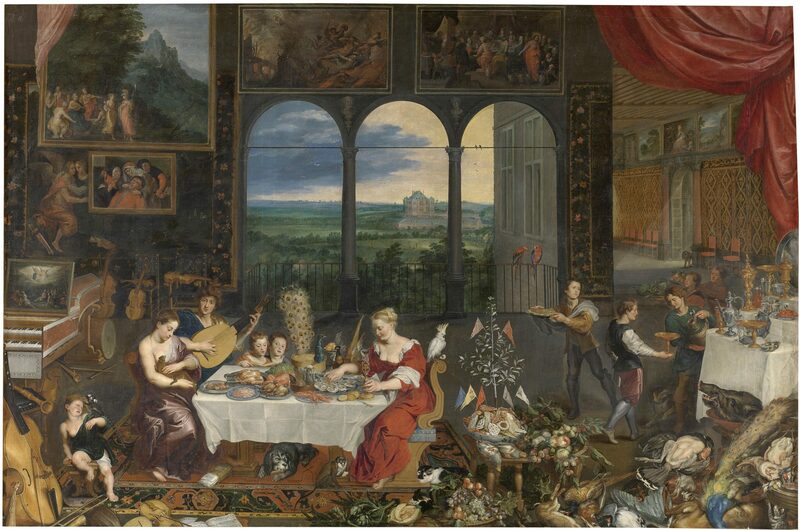 1618—Belgium: Jan Brueghel includes a trombonist resting on the ground in his allegorical painting, Taste, Hearing, and Touch (see lower-left corner of detail and full image below; public domain). 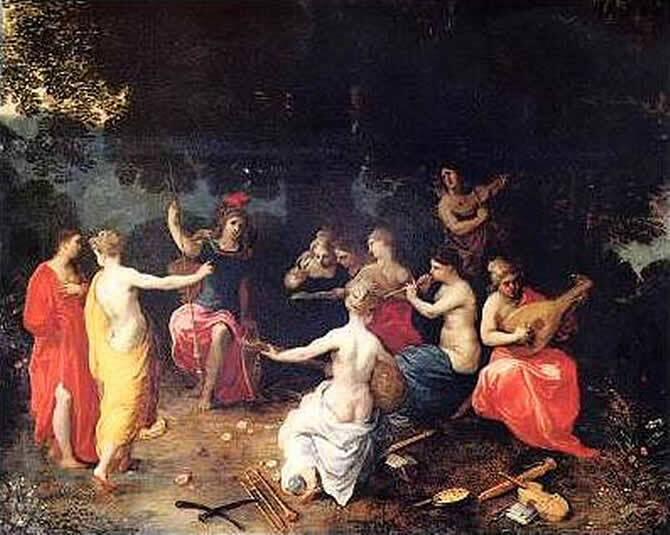 c. 1630—Antwerp, Belgium: Minerva Visiting the Muses on Mount Helicon, a painting by Hans III Jordaens, includes a trombone and a viol resting on the ground in front of Minerva (see below image; public domain). 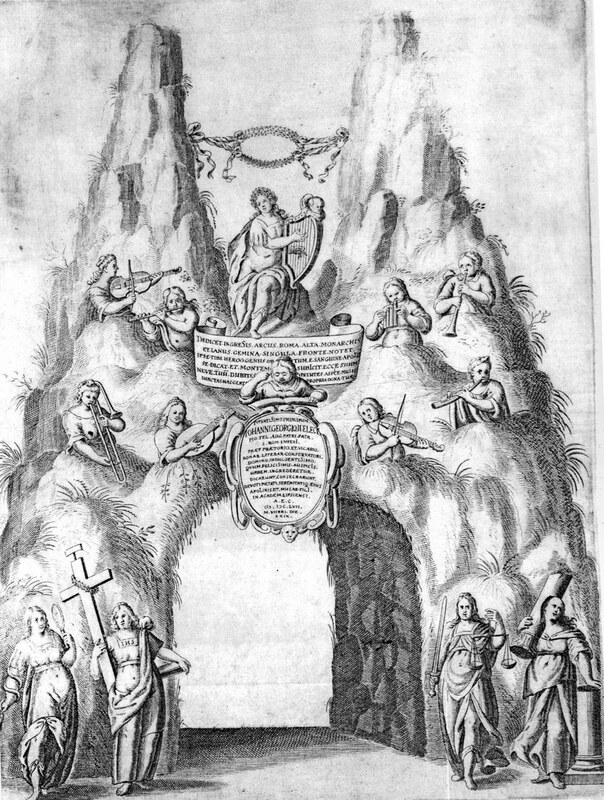 1657—Leipzig, Germany: A triumphal arch with concert of the muses, designed on occasion of the visit of Johann Georg II to Leipzig, includes a muse playing trombone (see below image; public domain) (special thanks to Bruce Dickey). 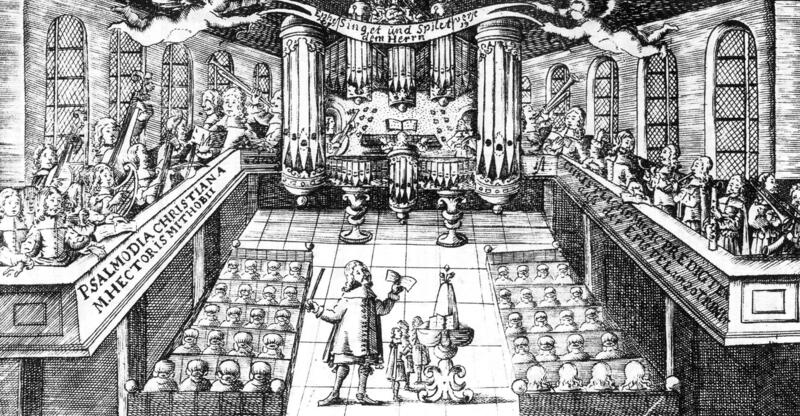 1665—A print on the title page of Hector Mithobius’s Psalmodia Christiana portrays trombone, lute, harp, cornet, bassoon, viol, and organ performing in a sacred setting. The trombone is on the far right (see below image; public domain). 1691—Bologna, Italy: A cupola painting in San Bartolomeo includes an angel playing trombone. It may have been painted by Giuseppe and Antonio Rolli in 1691. See below detail; public domain (special thanks to Bruce Dickey). 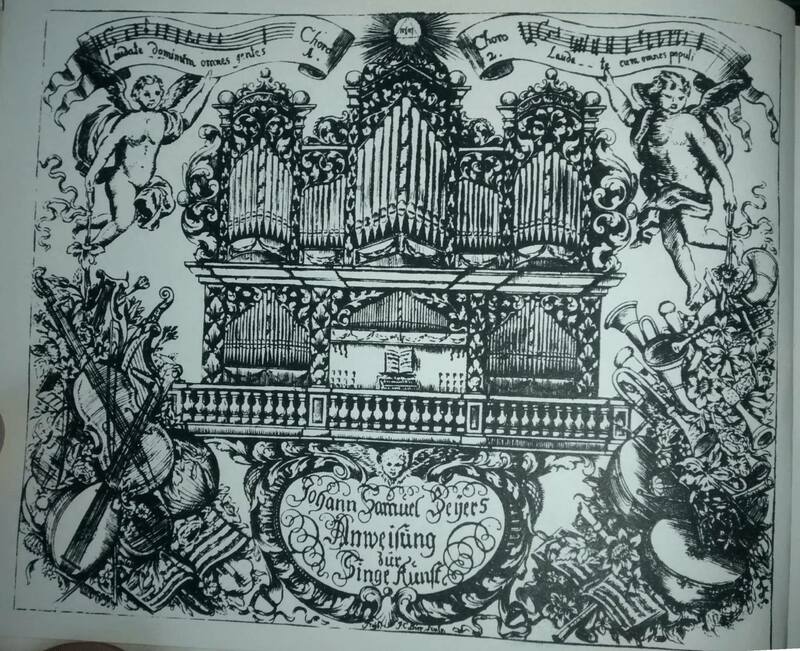 1703—Freiberg, Germany: The frontispiece of Johann Samuel Beyer’s singing manual, Anweisung für Singeskunst, features a decorative cluster of instruments that includes a trombone (see bottom-right of below image; public domain) (special thanks to Maximilien Brisson). 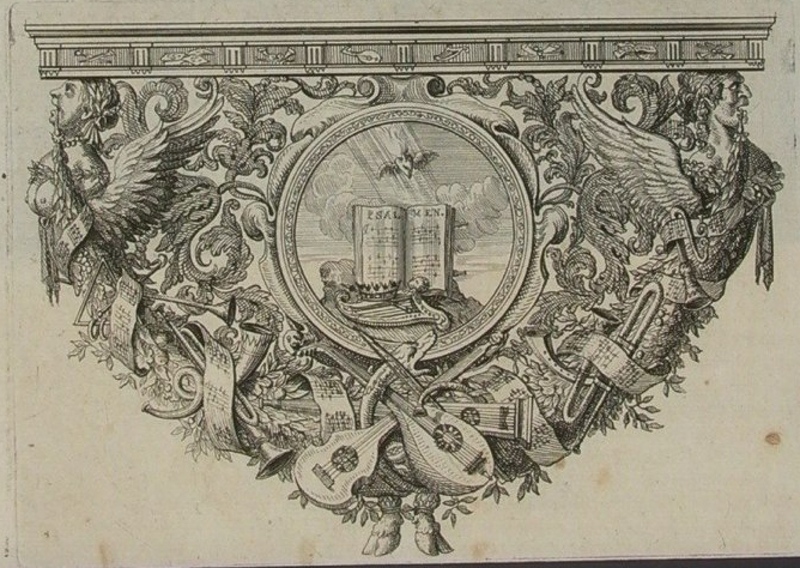 1707—An engraving by Romeyn de Hooghe for a collection of psalms features a decorative cluster of instruments that includes a trombone (see detail below; public domain) (special thanks to Bruce Dickey). 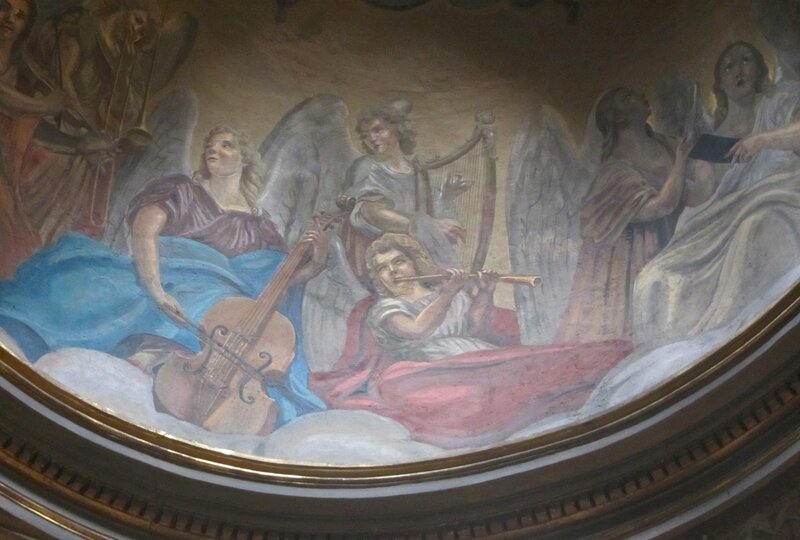 c. 1730—Melk, Austria: A fresco in the cupola of the Stiftskirche (Abbey Church) includes an angel playing trombone (see below image; public domain) (special thanks to Bruce Dickey). 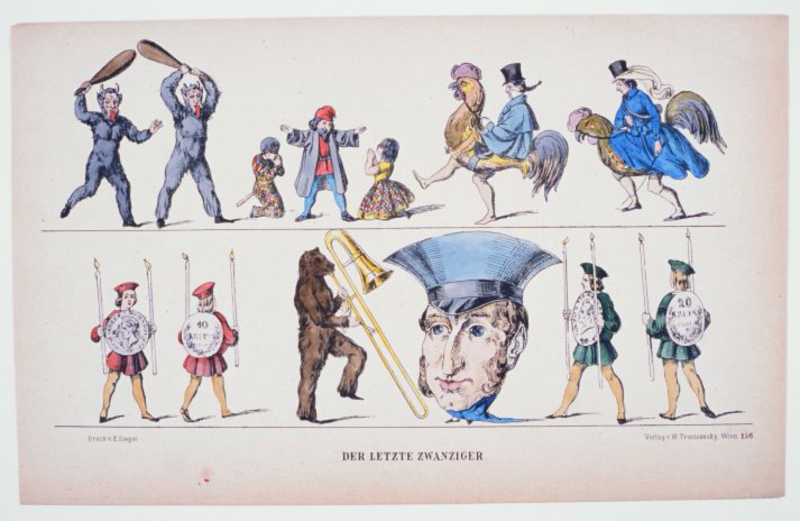 1875—Vienna, Austria: A set of paper theater figures by Matthäus Trentsensky for Der Letzte Zwanziger includes a bear playing trombone (see below image; public domain) (German National Museum, Nuremberg). 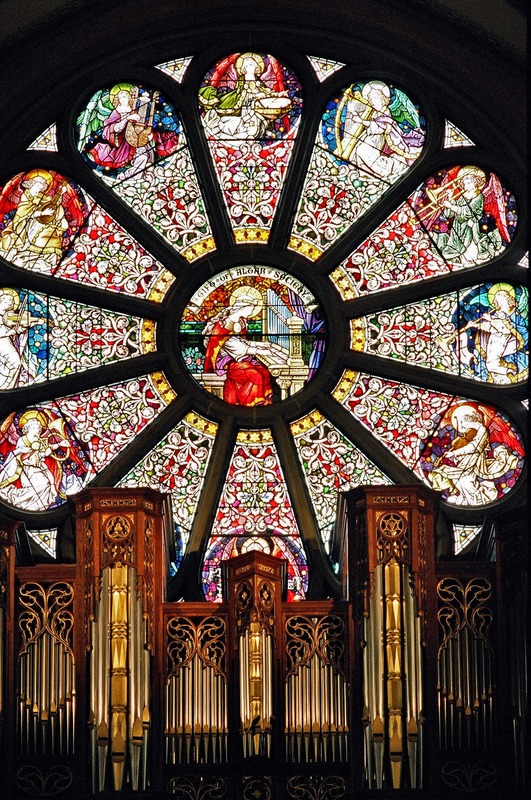 1908—Salt Lake City, UT: The “Great Rose” window by F. X. Zettler of the House of Littler, Royal Bavarian Institute in Munich, Germany, is installed in the Cathedral of the Madeleine. 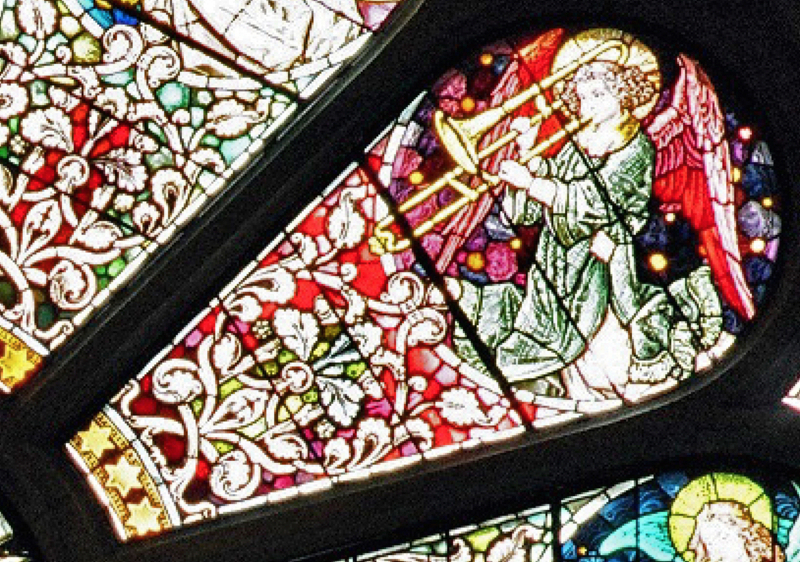 Located behind the organ, the window features St. Cecilia surrounded by angel-musicians, including an angel-trombonist (see detail and full image below).